The Global WiDS Conference is a 1-day technical conference started in 2015 in Stanford. It takes place this year on March 5th and it will feature talks from Elena Grewal, Head of Data Science @ AirBnb, Jia Li, Head of R&D, Cloud AI @ Google (Jia and I worked in Yahoo Labs together! ), and Lada Adamic, Research Scientist Manager @ Facebook to name just a few. The WiDS conference aims to inspire and educate data scientists worldwide, regardless of gender, and support women in the field. All genders are invited to participate in the conference, which features exclusively female speakers. Last year the conference also had partnering events in 80 countries around the world through WiDS Ambassadors. 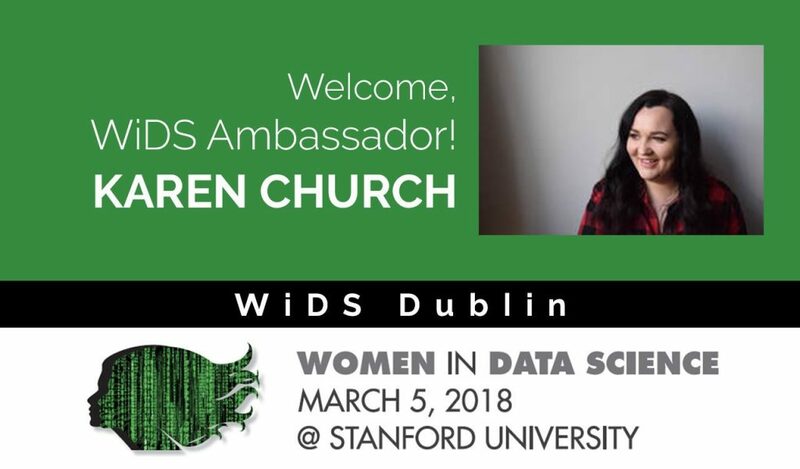 I’ve signed up to be the WiDS Ambassador for Dublin / Ireland and I’m hosting the first event WiDS Dublin in March which I’m super excited about. The date and format is still TBD but the basic plan is to host an evening event where we broadcast a talk from the Global WiDS Stanford conference and then have a couple of talks from 2-3 local female Data Scientists / Data Leaders. 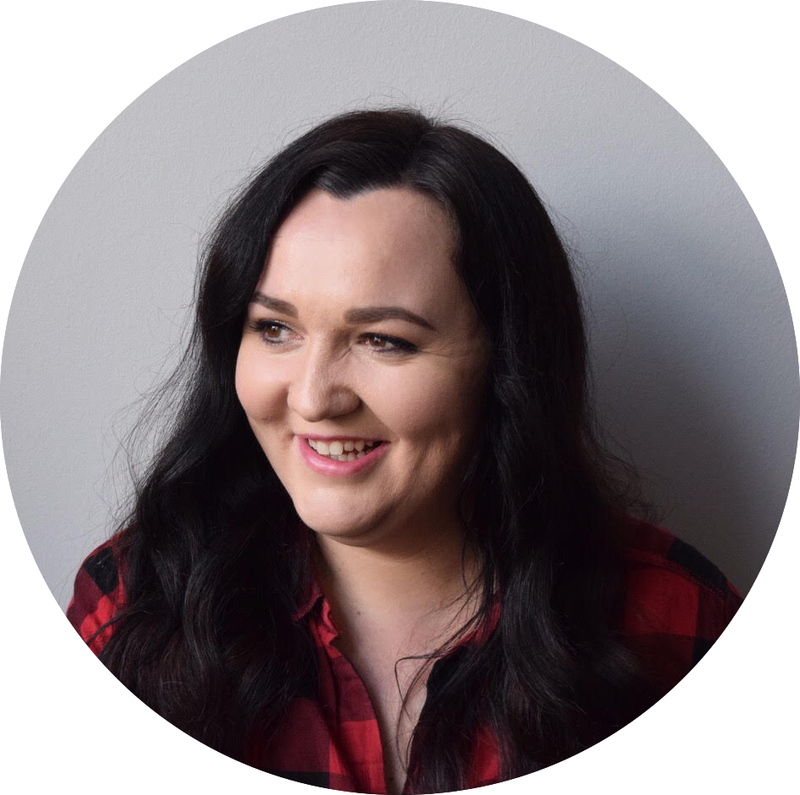 I’m super excited about this event and I cannot wait to celebrate & hear from some amazing women in #datascience and #machinelearning in Ireland. Watch this space for full details of the event. 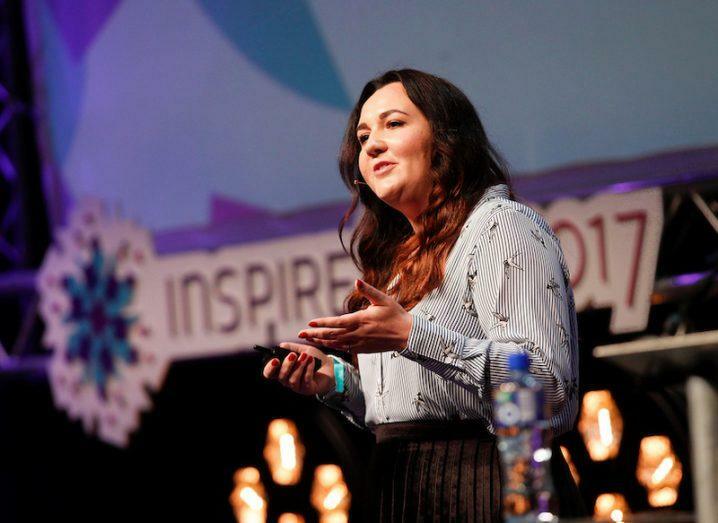 In July I stood on the stage of the Bord Gais Energy Theatre in Dublin and gave a talk on the Human Side of Data Science to the most wonderful audience at InspireFest 2017. What a conference and what an experience! To say that InspireFest is the most inspirational conference I’ve ever attended is a gross understatement. I’ve never heard talks from so many amazing people — fearless women in particular. Speaking at the conference was both exhilarating and terrifying all at once. Definitely an experience I’m proud of and one of those moments to remember forever! You can watch the talk (see below) or you can read about the talk on the Intercom blog or on Silicon Republic. This year’s RecSys was jam packed and fantastic. The dual track 3-day conference took place in beautiful MIT in Boston and showcased lots of great talks around advances in recommendation system algorithms and approaches. Below are some of my highlights from the conference. Full proceedings are available here. I co-chaired the industry track along with Paul Lamere, Director of Developer Platform at Echonest / Spotify and Hrishi Aradhye, Engineering Director at Google. This involved selecting and curating a set of industry track talks / speakers from a diverse range of companies who actively work in the recommender systems space. The industry track resulted in a set of 15 talks across 3 sessions featuring speakers from Mendeley, Meetup, Bloomberg, Foursquare, Spotify, Netflix, Pandora, Stitch Fix, Expedia, Nara Logics, GraphSQL, Retail Rocket, Quora, Google and Pinterest. Here’s just some of the awesome industry track talks that were presented. #2 Record Attendance at Women’s Lunch! I co-organized a women’s lunch with Tao Ye, Principal Scientist at Pandora. We had a record number of women attend (almost 50). The lunch resulted in a range of action items for next year’s conference including (hopefully) the organization of day care and a listing of female speakers so that future organizers can choose from a set of talented female researchers and practitioners who want to speak at conferences. 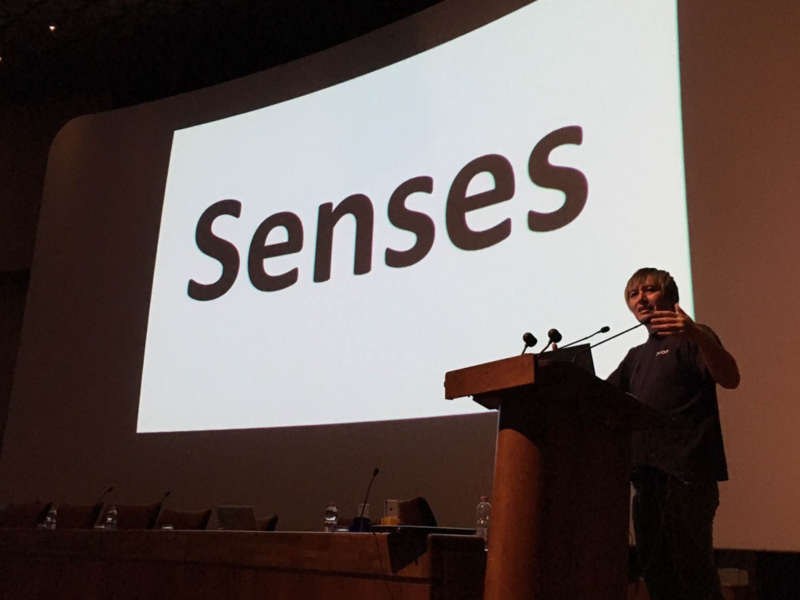 A prominent theme at this year’s RecSys is the combination of machine learning techniques with large-scale human curation to improve recommendations. Stitch Fix, a clothing delivery service where customers get their own personalized selected of five clothing items called a “Fix”, gave a great talk on this topic. 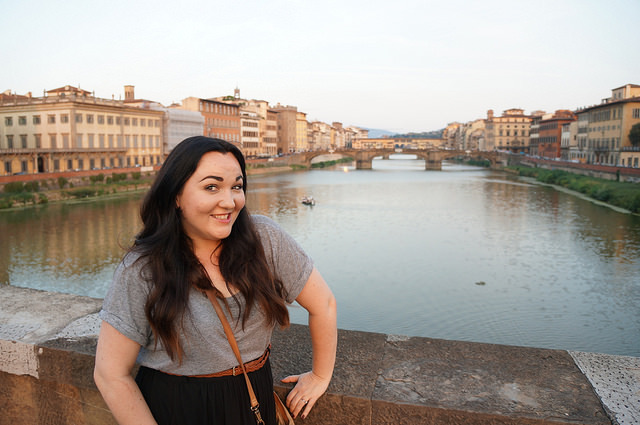 Stitch fix employ over 3000 stylists across the globe! They have a large algorithms team who build recommendation algorithms to help the stylists choose what to send to customers. Customers keep only what they like and send back the rest so it’s important that the recommendations are good! Katherine Levins, a data scientist from Stitch Fix talked about how they approach understanding, measuring and optimizing the role of human selection in a recommendation system. It turns out that they employ a combination of cognitive research, eyetracking, and machine learning models to tune the behavior of stylists. As data related initiatives like merlin take shape in Intercom, it feels like this combination of algorithm and human curation is something we could learn from and try going forward. Katherine’s talk is available here. Earlier this year Katherine published a great related blog post. There were lots of talks around deep learning at this year’s RecSys, with several papers accepted accepted to the main conference track and an entire workshop dedicated to deep learning for recommender systems. Paul Convington presented a really interesting talk on deep neural networks for YouTube recommendations. The problem he’s working on is how to predict what movie a user will want to watch next. He discussed how they’ve implemented an age feature designed to remove the bias towards recommending movies / videos from the past. What was most intriguing is that despite the promise of deep learning to advance the field of recommendation, he said that they still have to do lots of feature engineering in YouTube. And overall they have found that user’s interactions with similar items are the best features for improving recommendation. Shashi Thakur, a Distinguished Engineer and head of the Google Now team gave an interesting keynote on personalization, recommendation and exploration in Google Now. Shashi talked about the importance of setting the right expectations for users and explaining why recommendations are being made at a given point in time. He talked about the explainability spectrum where on one end a recommendation is so clear that it doesn’t require any explanation, and on the other end the recommendation is higher risk / less clear and so needs a clear, concrete explanation. Depending on the circumstances surrounding the recommendation and the person for whom the recommendation is being made, the spectrum of explainability will shift in one direction or the other. I thought this was interesting to consider in the context of merlin and how we surface merlin’s recommendations. Another interesting point raised across a few talks (including Google and Netflix) related to signal decay. The general advice is to revisit recommendation features often because signals that were once useful may not longer be as useful / as impactful as when the recommender system was first built. 2016 looks set to be a busy year for conference organization with 2 super exciting announcements to make. (1) I’m serving as paper co-chair for ACM Mobile HCI, a conference very near and dear to my heart. My fellow papers chairs are Jonna Hakkila from University of Lapland (Finland), Antonio Kruger from DFKI (Germany) and Marcos Serrano from University of Toulouse (France). 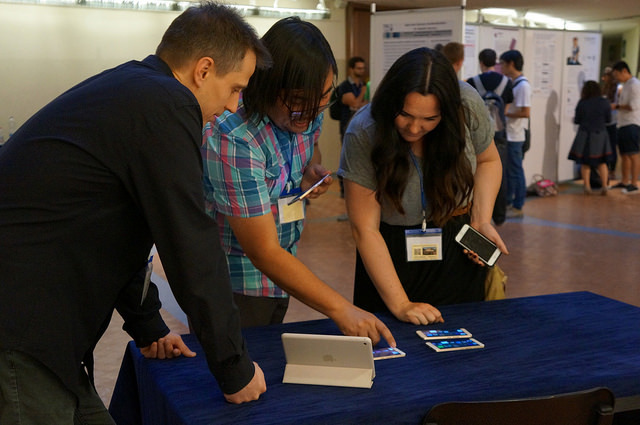 Please check out the Mobile HCI 2016 website and get thinking about your paper submissions! Deadlines for paper submissions are 12th February 2016. (2) I’m also serving as industry track co-chair for ACM RecSys 2016 alongside. My fellow chairs are Paul Lamere from Spotify and Hrishi Aradhye from Google. Our aim is to devise a super interesting industry line up so if (a) you work in industry and (b) your work involves “recommending things to people” why not consider submitting a proposal to the track?